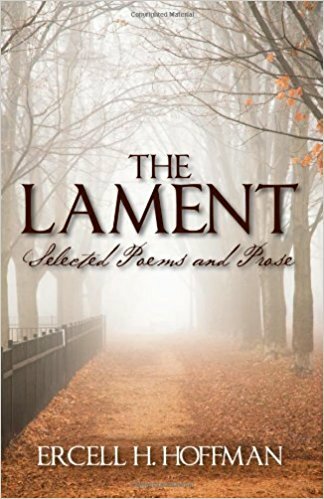 “The Lament: Selected Poems and Prose” is a collection of touching pieces that reflect on readers’ everyday emotions about joy, longing, empathy, life, and, most of all, love. “The Lament” takes readers on a beautiful ride through words and emotions that each of her pieces conveys. Talented poet Ercell Hoffman brings some of her best and most heartfelt pieces about her experiences, thoughts, and emotions throughout her life. Writing versatile pieces such as poems and prose are her way of freely expressing herself, and through her collection, comes a wonderful reflection about life and love that readers can relate and reflect on. “The Lament” takes readers on a beautiful ride through words and emotions that each of her pieces conveys. Her masterful talent in expressing thoughts and feelings through beautifully crafted words truly shines through the pages of this book. Her pieces explore life, love, and other matters of the heart which will inspire and touch every reader’s heart. Also, her candid and vivid style of writing is truly appealing. Indeed, Hoffman’s pieces leave an impression on her readers. She expertly brings emotions like highs of joy and gladness as well as the lows of heartbreak, misery, and sadness. Her collection is short yet very compelling and captivating. Most of all, she easily connects to every ready through every feeling or emotion that she expresses. Let imagination and emotions take flight through Hoffman’s heartfelt and masterful collection in “The Lament: Selected Poems and Prose.” Lovers of poetry and prose, as well as readers who are looking for a great read, will surely enjoy this book. Copies are sold on Amazon: https://www.amazon.com/Lament-Selected-Poems-Prose/dp/1432743465. Ercell H. Hoffman is the author of three books: “The Acknowledgement,” “USA Anytime Anyplace: A Journey Toward Survival and Self Worth,” and “A Journal of Thoughts, Dreams and Impressions: With Tips On How To Stay Fat Or Thinking Out Loud.” She first began writing cards for Hallmark and has been published in poetry anthologies and newspapers. A practicing licensed marriage family therapist in Compton, California, Hoffman also works as a consultant for the Los Angeles County Department of Mental Health and California Children Services. She is a mother, grandmother, and great-grandmother and lives in Compton, California.